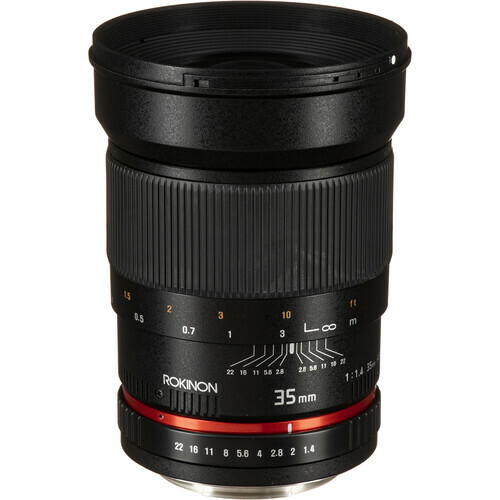 The Canon EF mount Rokinon 35mm f/1.4 AS UMC Lens is a prime standard wide-angle lens designed for both full-frame and APS-C sized sensors; when used with an APS-C sensor the 35mm-equivalent focal length is 56mm. It is well-suited to working in a variety of situations ranging from landscape to portraiture. Its fast f/1.4 maximum aperture is further beneficial to working in low-light conditions and for greater control over selective focus and shallow depth of field effects. Box Dimensions (LxWxH) 8.8 x 6.6 x 4.8"
35mm f/1.4 AS UMC Lens for Canon EF is rated 4.5 out of 5 by 56. Rated 4 out of 5 by Anonymous from Simply Works Great! For what this lens is, it works great. Personally I like being able to manually focus, and with combination of the Canon EG-S focusing screen, it is a pleasure. It's built like a tank, and it is extremely sharp. The only negative I have found with this lens is the bokeh fringing (NOT the Bokeh itself, which is quite pleasing!) between 1.4 and 2.0...with purple halos in front of the focused plane and green halos behind. It's not terrible, and is very typical of large aperture lenses, in fact the Canon 35mm 1.4 has them as well. All in all a fantastic lens! Rated 5 out of 5 by HireTheStache.com from The best budget lens for DSLR filming I shoot medium budget TV commercials and this is a welcome addition to my product line. Since I bought this lens for the purpose of film, I wont rate it on the lack of auto focus or auto aperture control, since those functions arent available anyways with DSLR filming. The IQ is spot on, the focus ring is smooth as butter and the build quality is as good as any L lens. It is a heavy lens, but I like it that way. Rated 5 out of 5 by John from I am in love!!! I bought this lens because I can't afford a 35mm 1.4L from Canon and still want affordable, outstanding photo quality from a 35mm prime from my 7D. The focus ring is a bit tight, but I like that since it makes precise focus a tad easier with such a narrow DOF (which creates wonderful effects at f1.4) This lens is a tad heavy as well, but the solid construction makes it easy to accept that. I expect this lens to last many years. Love the bokeh. I have read from other places that it has nervous bokeh and disagree with that. The bokeh is very nice for something at this price range. I have shot many flowers in my garden from 9-10 inches with wonderful, tack sharp results. I have attached extension tubes and taken beautiful pictures of insects with fantastic dynamic range. Get this lens before you get a 35L. It just might be all you need. Or more. Rated 5 out of 5 by clarkpnoy from ROKINON'S BEST KEPT SECRET I am a career hobbyist, using a 5D mkii, this has been my favorite lens ever since i got it. The sharpest in its class, even a tad better than the Canon brand. I use it for Video, every Videographer shoud have this lens being all manual. It's a matter of getting used to its manual control, once you get used to it, it is the best for what I do. The only con is it being full manual, otherwise it is more than 5 stars. Rated 5 out of 5 by The LunaClick from My Best Night Shooting Lens Solid, well built, long-lasting; these were my first impressions when I opened the box. The manual focus ring was wide and smooth making it easy to get exactly where you want. 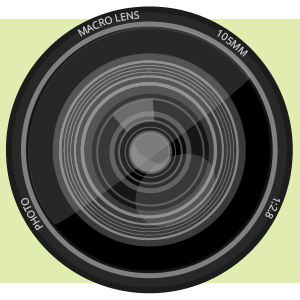 The manual aperture ring clicks comfortably for easy counting of stops. My only small complaint is that the aperture numbers are difficult to read under the Canon flash body extension, (other lenses seem to have the same problem.) As I use the Rokinon 35mm f1.4 mostly for starry skyscapes the dark nights makes reading the numbers a moot point anyhow, so I soon learned to count stops, 1, 2, 3, 4,...For night shooting this is a superb tool! Using my Canon 60D, or the newer 70D, in 'Live View' on the screen: Open the aperture fully to f1.4 to find the stars, and compose the image - then focus (and check the edges for focus as well) stop the lens down to f2.8, or whatever is possible given the light, and shoot first at 6 seconds, the increase exposures until the stars streak, depending upon latitude, and back off a bit. The Rokinon is so clear even the hardest nights seem easy. If it is freezing cold, gusting wind, etc., there's no time wasted finding, composing, and focussing for wonderful starry shots!The Field of View is enough to get a whole Constellation in frame. Scorpio, or Carina, for examples fit perfectly with a contextual view. As far as wider images, the low distortion of the edges makes the 35mm neat for stitching together several images.Sometimes when looking at details of the 100% view, pixel-peeping, I have to keep reminding myself that this is not a telephoto lens, but a wide angle lens. The sharpness and clarity of the smallest stars are better than any of my zoom telephotos show. Especially when looking at small clusters, like M7 or Ptolemy's Cluster, or larger ones like the Pleiades, the Rokinon 35mm picks up the smallest members which can just be seen with my 150-500mm telephoto-zoom. Outstanding sharpness from edge to edge, (not just in the centre of the image like some much more expensive lenses), makes it ideal for wide field work. Rated 5 out of 5 by Ratt from Incredible This lens blew me away. I couldn't believe the quality of image this thing produced, and the razor thin depth of field is a tool I never thought I'd enjoy so much. The focus and aperture rings are unbelievably smooth, and the build is very sturdy and impressive. If you don't mind the manual focus this lens is a must have. Rated 5 out of 5 by Anonymous from the best 35mm lens I love my rokinon 35mm 1.4 lens......nothing can compare to the price and image quality like a 2K or 3K range of lens, for my 7d and my 5d2. great. Will my 7D auto. Set exposure with this lens? No, it would not. The Rokinon 35mm f/1.4 AS UMC Lens for Canon EF (AE Chip), B&amp;H # RO3514CAE, would be required for use if autoexposure is needed. Is there any difference with the Rokinon and the Samyang 35mm f/1.4 AS UMC other than price? Is the quality the same? The ad states 56mm (35mm Equivalent on APS-C) Shouldn't it instead say 35mm (56mm Equivalent on APS-C) ? What adapter should I get to adapt this lens to a Panasonic Lumix GH2? Will this lens work on my Canon SL1? 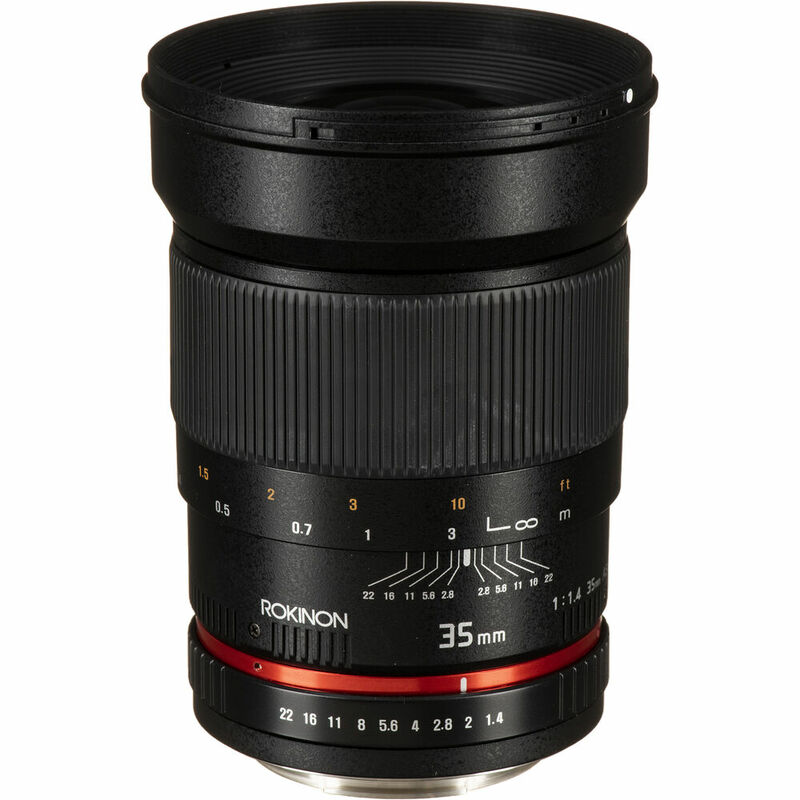 The Rokinon 35mm f/1.4 AS UMC Lens for Canon EF will be compatible with the SL1, yes. This lens is listed as an 35mm but also states 56mm in the information; what is the deal?? I would have to say that is because it will shoot as 56mm on a crop sensor. It is definitely 35mm for me on my full frame. Will this fit cannon t2i ? Will this lens work with Canon 6D ? Yes, it's a perfect match.